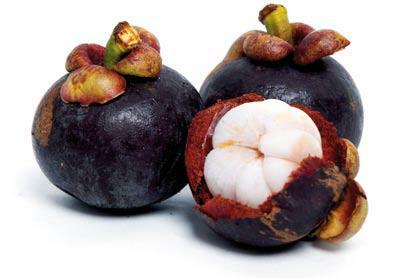 The main constituent of ZenThonic is the fruit called mangosteen, which is one of the most precious foods of people living in the jungles of Asia. It is also called the fruit of the gods. Even now in Asia, it is considered to be one of the most sacred and precious fruits, but remains almost unknown in North America and Europe. 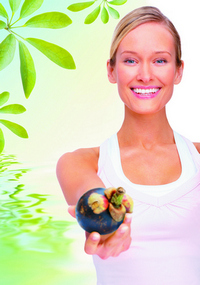 Although relatively unknown in North America and Europe, mangosteen (Garcinia mangostana) has been one of the most precious of fruits for indigenous peoples of the Asian jungles. It is not hard to see why it has sometime been referred to as the “Fruit of the Gods”. It contains large amounts of potassium, calcium, phosphorus, iron, vitamin B1, vitamin B2, vitamin B6, and vitamin C. As well, it is exceptionally rich in several beneficial antioxidant compounds such as polyphenols, flavanoids, and catechins. Much of the recent health interest in mangosteen is because it is probably the richest natural source of a group of flavanoids called xanthones. Xanthones appear to have exceptionally superior antioxidant properties, and thus are one of the most effective flavanoid compounds for protecting the cells of our body from the harmful effects of free radicals. Many scientists support the theory that cell damage caused by free radicals is one of the root causes of the metabolic deterioration that comes with aging. Thus, regular intake of high-quality antioxidants can help support excellent health, and youthful vitality. CaliVita® Zenthonic combines high quality mangosteen with a variety of other fruit juices chosen and blended especially for their excellent antioxidant ingredients. As well, they help to enhance the delicious taste of Zenthonic. We have read a lot about antioxidants on several forums, but it is not certain that we actually know why it is so important to supply our body with the proper amount and quality of antioxidative compound. During our body's normal metabolism so called free radicals are produced every minute, which contain free oxigen or nitrogen molecules. These are capable of reacting with the substances that build up cells, with the cell membrane or with the DNA itself and damage them. 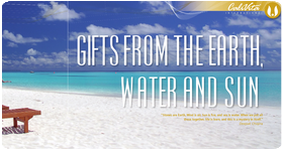 However, we must note that the role of free radicals is very important in transmitting signs within the cell. The accumulation of free radicals can be dangerous and it is strongly influenced by our way of life: the rushing world, the smog in the air and smoking (in several cases, all these together) and also unhealthy eating habits that are deficient in antioxidants. Who would think that even during physical training and hard physical work the production of free radicals increases, in direct proportion to the intensity of the work. Just think about it, how many times we get into such a situation during our life from day to day when the production of free radicals increases. According to scientists, if the balance of antioxidants and the molecules called free radicals is broken and the increased amount of the latter becomes permanent, so-called oxidative stress develops, the significance of which lies in the process of ageing and in the development of several chronic diseases (e. g. cancer, diseases of the heart and the vascular system). Although, free radicals can be neutralized by cell enzymes, certain vitamins and other mechanisms, in case of increased stress it is not certain that this is enough. We can increase the amount of antioxidants that protect cells with our lifestyle and our eating habits, but nowadays it is difficult to pay attention to this and we cannot be sure anymore whether the given food-product contains the necessary amount of valuable nutrient that we presumed. In such cases it is worth applying for reliable, quality dietary supplements with antioxidative effect, which can provide a great alternative to reinforce our antioxidative protection. One of the most popular natural basic material with an antioxidative effect nowadays is themangostane fruit, which has earned its position justly based on the researches done so far. There have been several examinations done to map its effects and agents. As a result of a research done in 2006, the number of identified compounds extracted from mangostane, which have an antioxidative effect has grown to 14. Its main agent, alpha-mangostine was described as a compound with one of the strongest effects. The measurement of the antioxidative effect of the polifenol compound that can be extracted from mangostane was the topic of further research. Their finding was that one of the xantons found in it could protect the unsaturated fatty acid from oxidation the way Vitamin-E could. Another research done with mangostane extracts on breast cancer cells showed anti-cell-division effect and advanced cellular death apart from the fact that it prevented the production of free radicals. A different experiment demonstrated the antiinflammatory effect of alpha-mangostine found in mangostane (inflammation in itself is a procedure controlled by the free radicals produced by the cells of our immune system). Since antioxidants can protect our cells only by “sacrificing” themselves (free radicals damage these compounds instead of the cells) thus it is a good idea to protect them as well until they reach our cells. It is important to buy a product that was created with a thought of this. We recommend you to use a dietary supplement (liquid or capsule) that contains several kinds of antioxidants all at once. For example, the valuable agents of mangostane synergically cooperate with the antioxidative compounds found in green tea or in other fruits. Antiproliferation, antioxidation and induction of apoptosis by Garcinia mangostana (mangosteen) on SKBR3 human breast cancer cell line - Primchanien Moongkarndi, Nuttavut Kosema, Sineenart Kaslungkab, Omboon Luanratanac, Narongchai Pongpanc and Neelobol Neungtond, Journal of Ethnopharmacology Vol 90, Is 1, January 2004, P161-166.